The full roster for Marvel vs Capcom: Infinite includes returning characters, but skips a few fan-favourite ones. 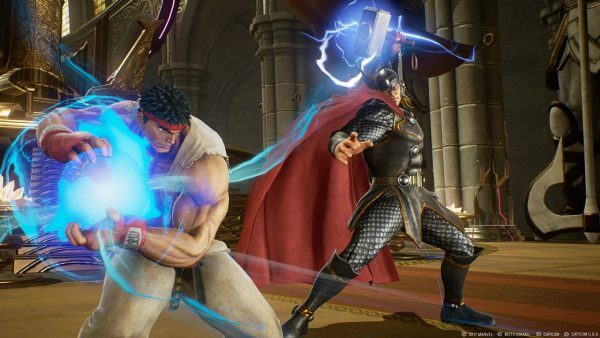 The reveal trailer for Marvel vs Capcom: Infinite, dropped back in December, confirmed the first characters to join the game’s roster. Iron Man, Ryo, Mega Man, Captain Marvel and others were shown. A couple of newcomers were revealed in last month’s story trailer. Today, thanks to a new leak, we now know (almost) the entirety of the game’s roster. The information comes from NeoGAF member Ryce, who has a proven track record when it comes to character leaks for the game. Another poster on the same forum revealed that Infinite’s roster will be 28-characters strong at launch. The final roster sadly doesn’t include any X-Men, something many fans feared would be the case given Marvel’s involvement and its focus on the Cinematic Universe characters it owns. Which leaves one mystery character that we’ll have to wait a little longer to know the identity of. Marvel vs Capcom: Infinite is out September 19 on PC, PS4, and Xbox One.